A soldier was killed on Monday morning in Mokunda village Limbe by a group of about 50 Ambazonia fighters who launched an attack on the village, sources have confirmed. 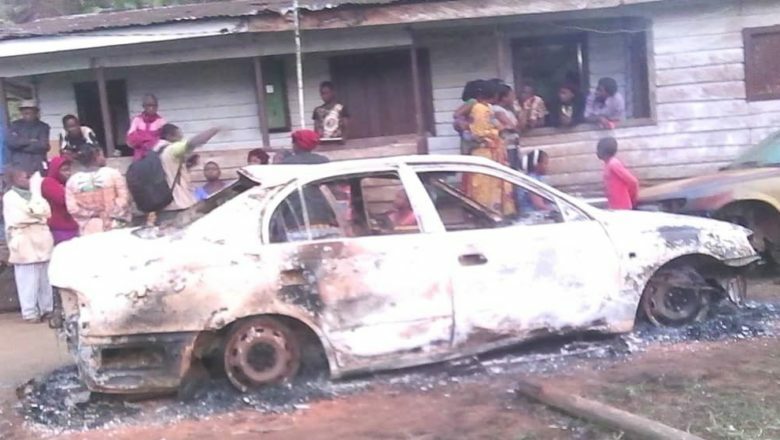 Mbonde Emmanuel, a senior warrant officer at the Limbe Naval Base was killed as the armed men invaded the village in Limbe II sub division in the early hours of the morning equally burning down his vehicle. Several persons were equally abducted in the course of the raid carried out by the armed men but were later released though it is still not clear if all abducted persons have been released. The corpse of the military officer have been preserved at the mortuary of the Limbe Regional Hospital Mortuary.